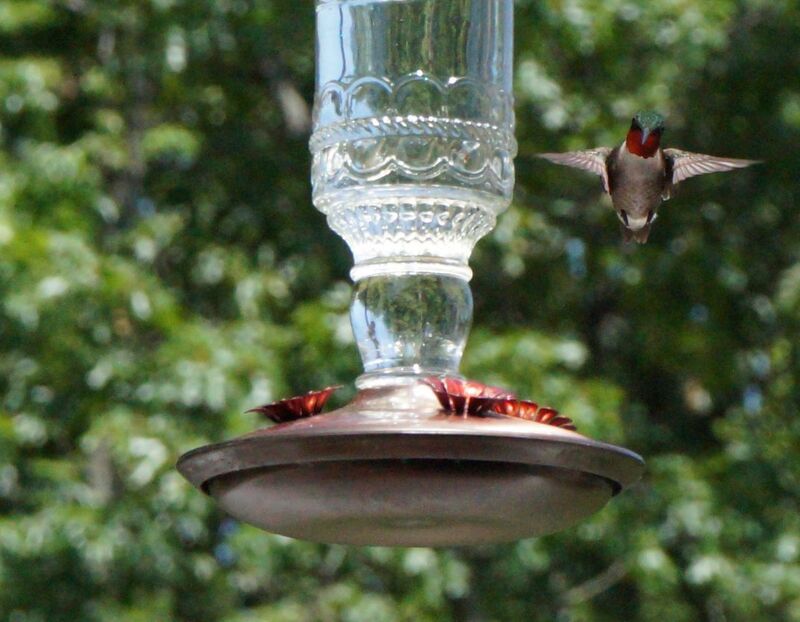 I put our a hummingbird feeder this summer and have started seeing the same five hummingbirds trying to feed off the feeder. In the mornings my wife and I watch them all compete to get to the feeder (apparently they are very territorial). Watching them has been like watching a dog fight. This one specifically has started chirping at us when we need to refill the feeder. Date Uploaded: Nov. 2, 2014, 5:37 p.m.